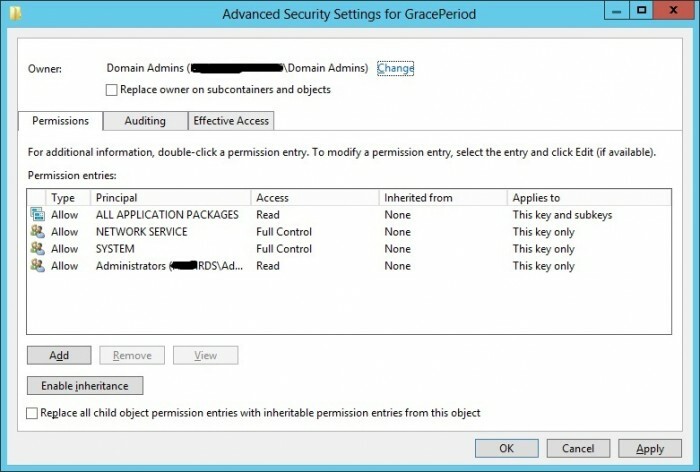 The Remote Desktop Session Host server does not have a Remote Desktop license server specified. 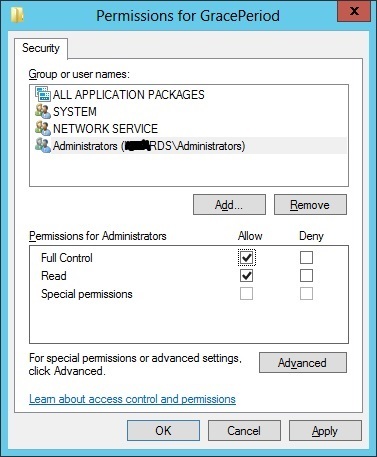 To specify a license server for the Remote Desktop Session Host server, use the Remote Desktop Session Host Configuration tool. 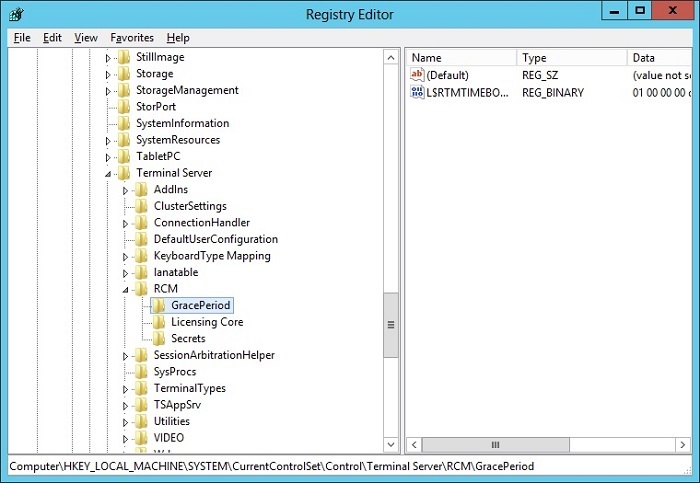 Querying the RDS configuration reveals a Licensing server is specified. 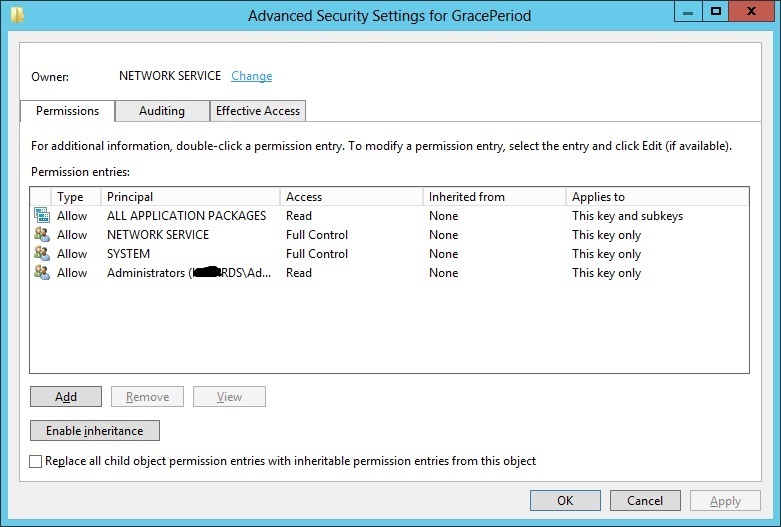 Checking the licensing configuration we can see that the licenses are installed but not being issued. We want to delete the entry on the right for the L$RTMTIMEBOMB key. However if you try and delete it you might find you do not have permissions and get the error below. Unable to delete all specified values. To delete the key we need to take ownership of the key and then give ourselves full permission. Right click on the GracePeriod folder and click permissions. 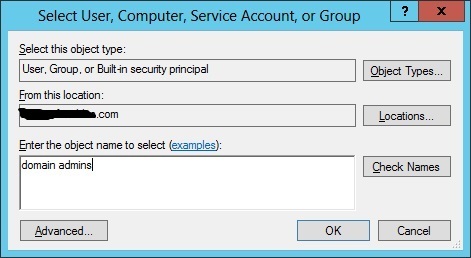 At the top of the Advanced Security settings window click Change next to the owner. 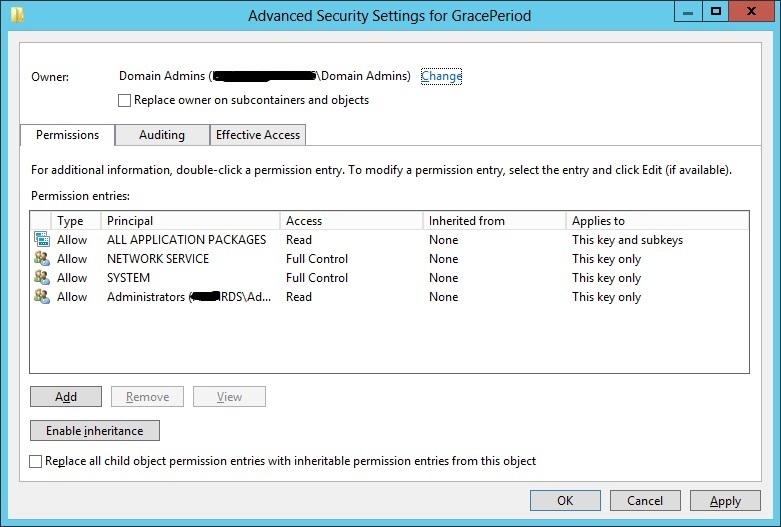 Type in Domain Admins or the name of your user. Whichever you prefer. Then click ok.
Now give the administrators full access. 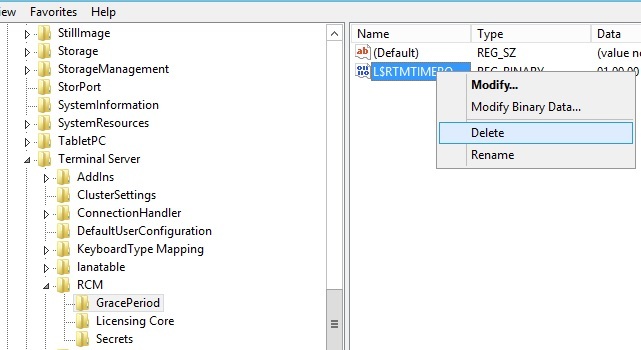 Then click ok.
Now right click on the L$RTMTIMEBOMB value and click delete. Now reboot the server and get a user to login. 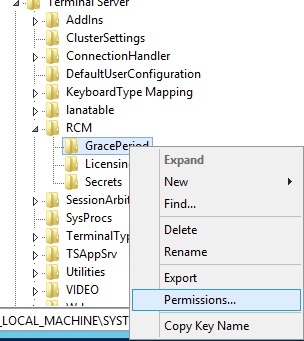 Once logged in check Remote Desktop Licensing Manager to see if the licenses are being allocated like shown below. In my scenario this morning this did not resolve it for me. The server still complained about no licensing server being set. I then queried WMI to see what was set on the server. 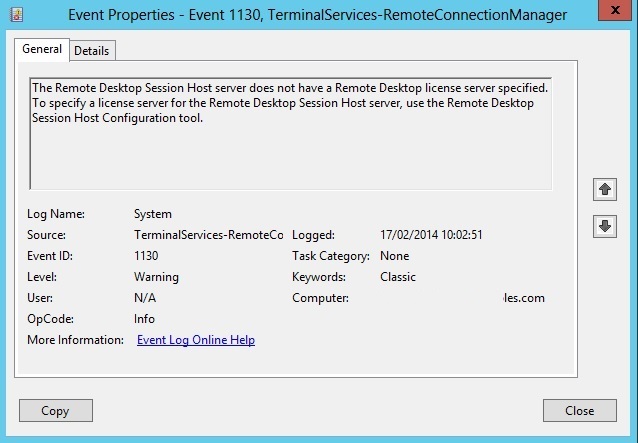 As you can see there is no licensing server specified in the SpecifiedLSList. We can set this manually using a similar command. Running the Get query now shows the value set. Now my licenses started to issue. Also no further reboot was needed.